These Family Snowman Portraits are the Christmas project currently being done by Grade 2. 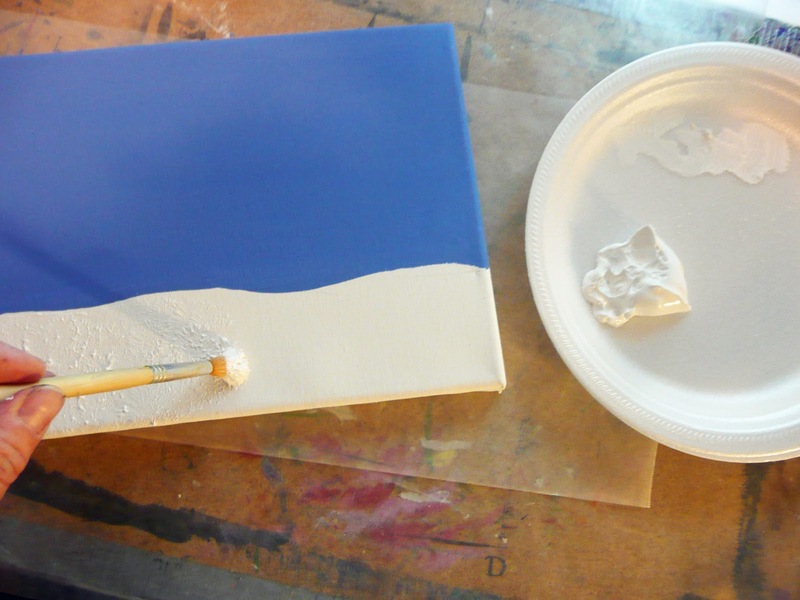 I found a great deal on these primed canvases at Michaels last week, 10 for $14.99. I think they are on sale this week for $19.99 which is still only $2.00 per child. You can also find them at the dollar store. You could also just do them on paper suitable for framing by the parents. 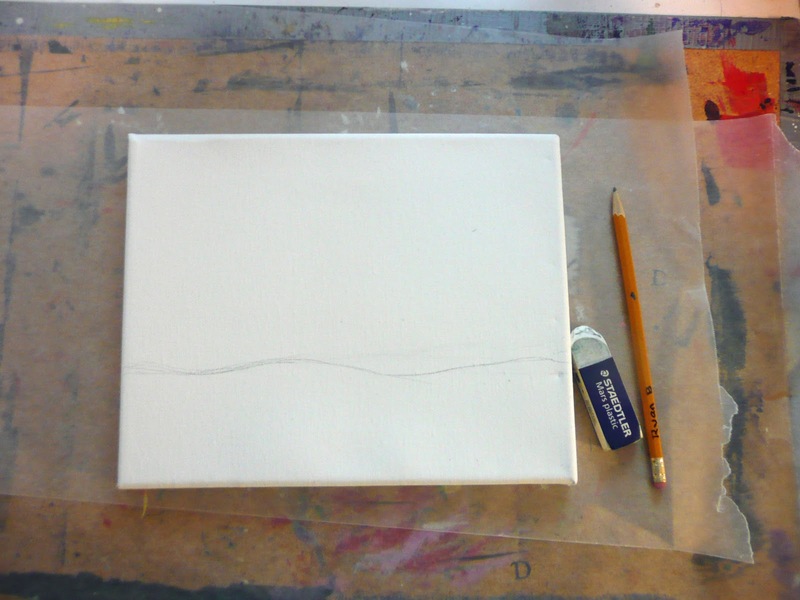 Draw in a horizon line in pencil. 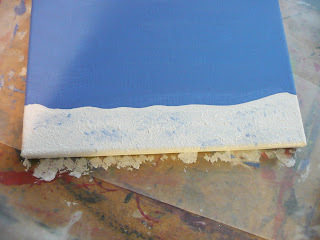 After experimenting with the sample pieces I would make my horizon a little lower than the one in this picture. Paint with acrylic in a nice sky blue. Make sure to paint the edges as well. 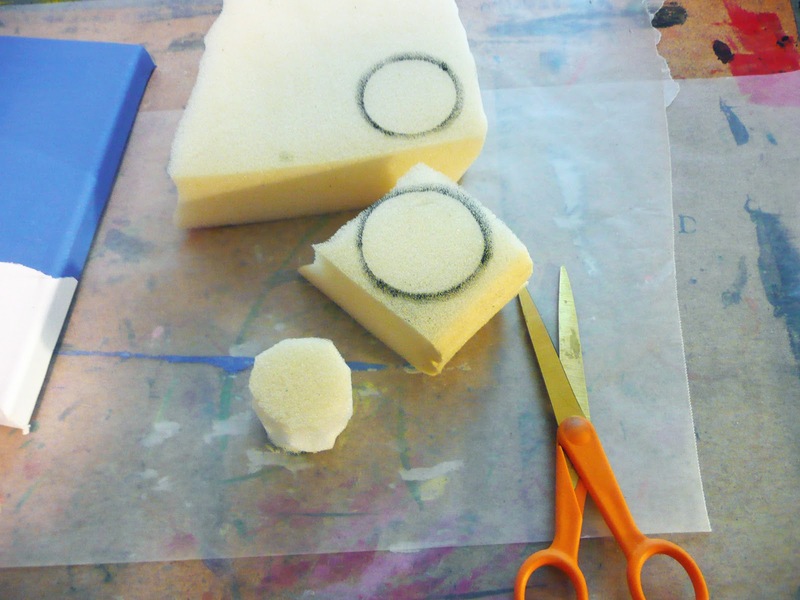 While your canvas is drying cut out some circles from foam or sponge. You need at least 3 circles, small, medium, and large. I have some kids with large families so I will be cutting some long oval shaped ones so we can fit more snowmen on our pictures. Taking gesso or thick acrylic paint (from the tub, tube, or a Folk Art Artist's Pigment brand) pounce in some snow on your bottom section. You want to have some texture here. 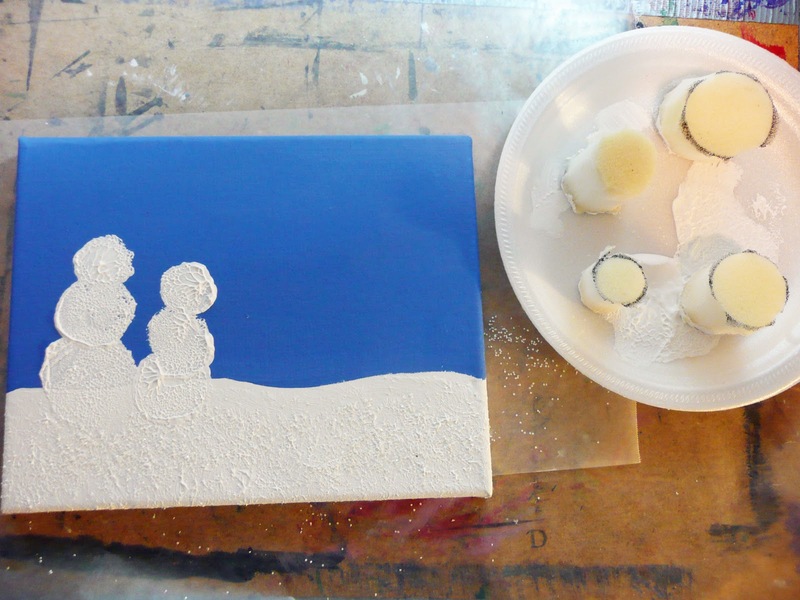 Mix in a little bit of the blue and add a few touches...this helps distinguish the ground from the snowmen a bit. You can also add some snow glitter if you want. I added mine before my Mod podge coat and it was still shiny after. You could also wait and add it into the Mod podge if you prefer. Now using your sponges put in your snowman family...1 for each member. Now you can line these up in any order....you can also put the Mom on one end and the Dad on the other with the kids in the middle. Using colored paper add hats, mitts, ear muffs, scarves, buttons, eyes and noses. A hole punch works well for the eyes and buttons. Using sharpies you can add arms and smiles. Make sure to add your smile first and then glue your carrot noses in place. (works better this way). I used my cricut for the letters. My original plan was to stamp them in with paint but this was too tricky. You could print some off the computer and cut into equal squares like tiles..that would also look nice. 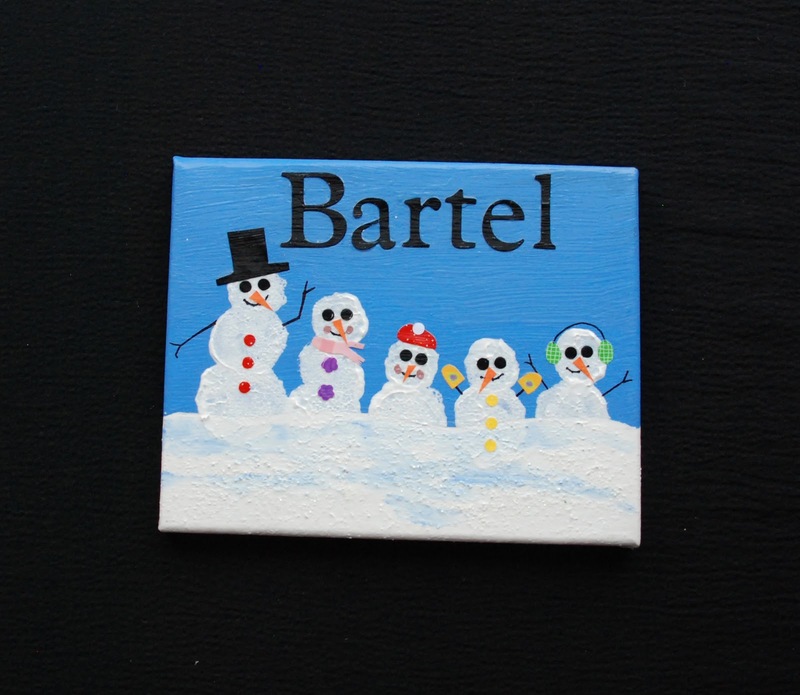 You could also add "the" if you wanted (The Bartels)...we won't have the room on our canvases. after thinking about it I've reconsidered and we will add a small "The" and a little "s". I glued them into place and then covered it with a coat of mod podge...this secures all the paper bits and gives it a really nice shine. This is my second sample. Here I placed the snowmen higher up on the snow so you can see the full circle of the body...I like this better. Another finishing detail we are going to do is add some little pompoms and make some of the hats or mitts in felt. 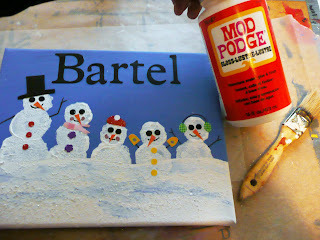 They will be attached after the Mod podge coat has dried. This will add a little 3D touch. I LOVE this. Love all the stuff you do, actually. This is one I think we could actually pull off with my afternoon program out at the school! Off to look at Michael's on my way out there! This is so so cute. It makes me so happy! Love love love this. 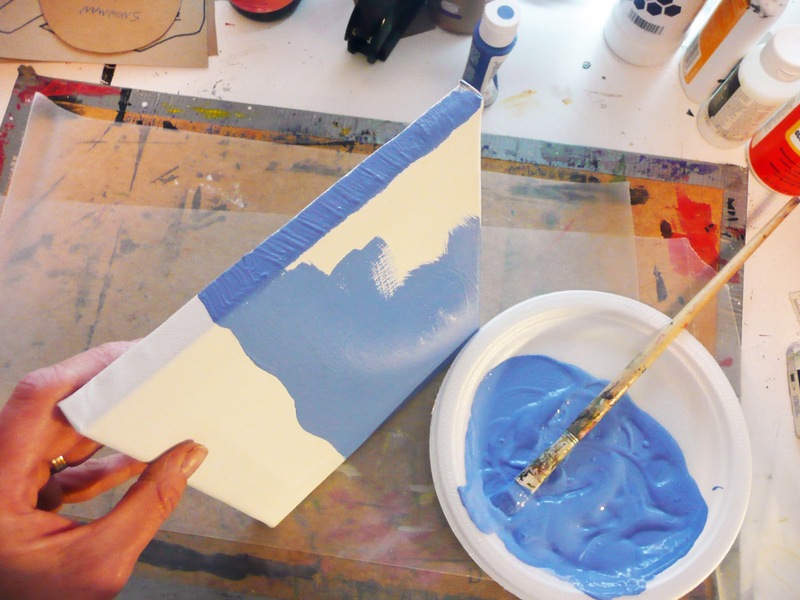 Thank you for sharing the tutorial; we'll definitely be doing this at my house! Thanks! you guys are great....the kids are so excited about these. Super super cute! Love this idea! Thank you for sharing. Thanks for the great idea.. I did a bit of a spin-off! Gail, I first have to tell you how wonderful it is that you share you ideas, instructions, and photos with everyone! You are truly a teacher! I loved this idea so much, that my 3rd grade class is doing this project this week. 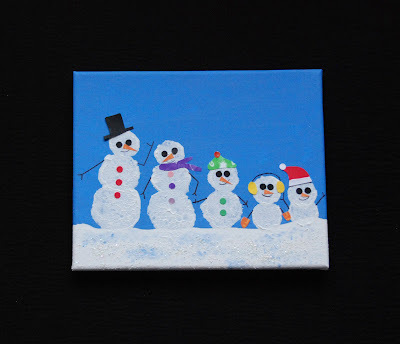 We put a little spin on it by having them choose either to stamp or to paint their snowman. Then for the accessories, students drew hats, etc. onto white paper with colored pencils, then glued them onto the painting. They are absolutely adorable! I bought stencils for the family names, and I can't wait to try them out tomorrow. You're truly an inspiration! Thank you for sharing!!!! What a wonderful project! I did this with my kinder class as our family gift and at home with my own family. Thanks for sharing! 1. 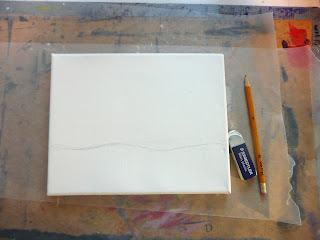 Have the students write their name AND date on the reverse of the canvas before starting anything. 2. Buy a few stencils for the names. 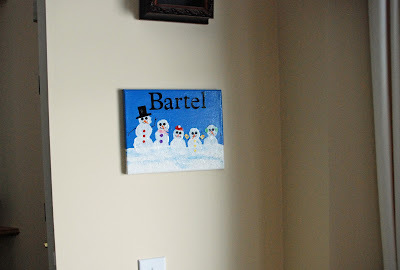 I purchased two fonts, and the kids trace their last name onto the canvas at the end (before the Mod Podge) with sharpies. The only help they need is where to start their first letter of their last name). 3. 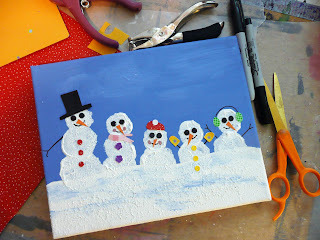 Kids drew their own snowman accessories on white paper with colored pencils (won't run like ink) then cut them out and placed them onto their snowmen before Mod Podge. Very creative! 4. I do this process over time. One day, we do the background (rotating 24 students). The next day, it's the snowmen and drawing the accessories and gluing them down. 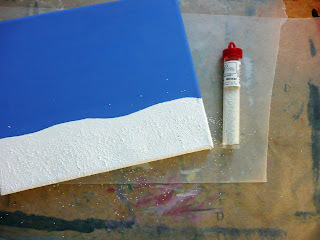 The final day, it's the stenciling and the Mod Podge. After that, they dry for a few days before they're wrapped beautifully by the kiddos before sending home on the last day before winter break. Of course, a hand-created card goes right along with it! Gail, again, I love your sharing of ideas! This is definitely a keepsake for years to come! Hey Doreen, Thanks for all the tips! We are starting our snowman portraits today.